On January 30, the Wichita Art Museum opened their latest photography exhibition "Gordon Parks: Back to Fort Scott," the show will run through May 8. 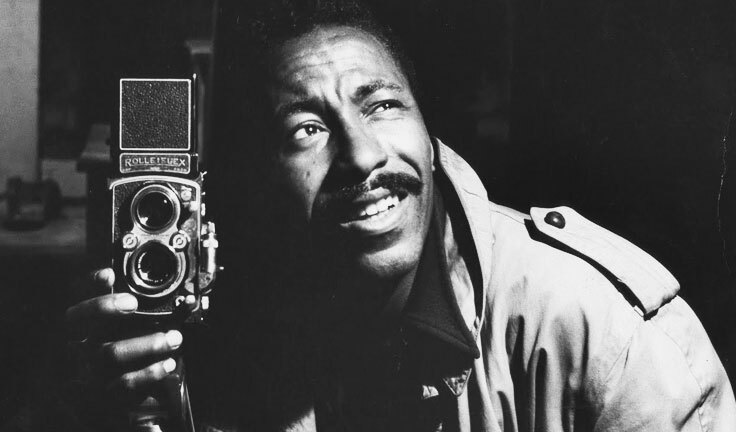 Kansas native Gordon Parks, one of the most celebrated African American artists of his time, created a body of work on his hometown of Fort Scott-focusing on life under segregation. In 1950, Parks used a Life magazine assignment to revisit memories of his birthplace, many involving serious racial discrimination, and to reconnect with childhood friends, all of whom had attended the same grade school. Fort Scott, was an emotional touchstone for Gordon Parks and a place that he was drawn to over and over again as an adult. Visually rich and captivating, Parks&apos; photographs were slated to appear inLife magazine in summer 1950 and again in April 1951, but the photo essay was never published. This exhibition reveals rarely seen photographs depicting the everyday lives of African Americans, years before the Civil Rights Movement. Importantly, the lives of Kansans masterfully captured by Parks serve as a model for this national cultural experience. Gordon Parks: Back to Fort Scott was organized by the Museum of Fine Arts, Boston. The Wichita Art Museum, in partnership with the Ulrich Museum of Art, will be hosting the Gordon Parks Community Symposium on Friday, February 12 and Saturday, February 13 for those interested in learning more about Parks&apos; life and work. Click here for more details. Gordon was born on November 30, 1912, in Fort Scott to Andrew Jackson & Sarah Parks. He was the youngest of 15 children. Parks became the first black photographer to work at magazines like Life and Vogue, and for the Office of War Information and the Farm Security Administration. Gordon was not only a photographer, but also a poet, composer, filmmaker and author. The Learning Tree, written and directed by Gordon, based on his 1964 semi-autobiographical novel of the same title was registered and placed in the Library of Congress in 1989.